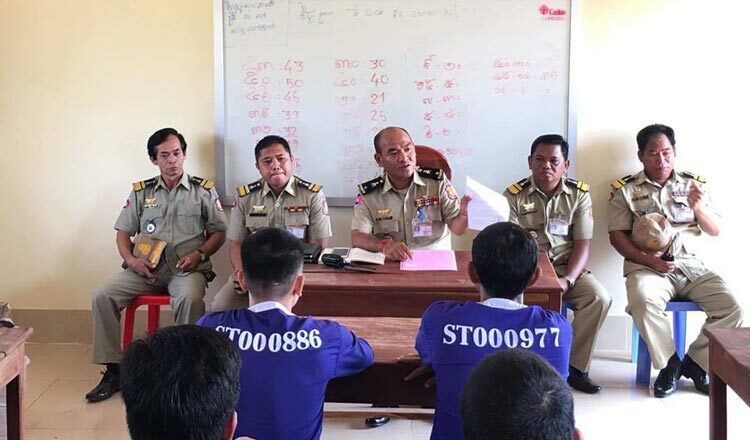 The National Commission for the Evaluation of Prisoners yesterday selected more than 100 inmates to either be pardoned by the King or have their sentences reduced to mark Khmer New Year. Kim Santepheap, Justice Ministry spokesman said that 134 prisoners were selected and that 16, including one woman, will receive full pardons. He said the others will have their sentences reduced by between six months to 12 months, and also from a life sentence to 20 years. According to the law, prisoners who complete two-thirds of their sentence may request to be pardoned, while prisoners who complete a third of their sentence, may request for a sentence reduction. Lieutenant General Nouth Savna, General Department of Prison spokesman, could not be reached for comment yesterday. However on Tuesday he said that some foreign prisoners had also requested for their sentences to be reduced but he could not remember their nationalities. A total of 460 prisoners in 18 provincial prisons and four correctional centres in Phnom Penh had requested for sentence reduction or pardons for the upcoming Khmer New Year. Soeng Sen Karuna, senior monitor of human right group Adhoc, yesterday said he hoped that the government has included political and land activists in the list of those to be pardoned. Last year, the government decided to increase opportunities for prisoners to request royal pardons. They can now make requests during Pchum Ben in October, Independence Day in November and Win-Win Policy Day in December. Previously inmates could only make requests for Khmer New Year, the Water Festival in November and Visak Bochea Day in May. In February, Prime Minister Hun Sen urged the Women’s Affairs and Justice Ministries to explore the possibility of pardoning some female inmates outside of national holiday periods, noting that he will consider establishing a body, directly under his control, to assist impoverished women. Mr Hun Sen said both ministries must review the cases of all female inmates in all prisons across the Kingdom, and address problems they face. “Female inmates are facing many family problems – some have children that they have to look after, while others were abandoned by their husbands,” he said, noting that it is time for tolerance and compassion.